So much has been written about the classic Quad ESL 57, that it is worthless to repeat the historical aspects of this famous electrostatic loudspeaker or describe the technical aspects of its construction. My intention is, to give some practical advice about room placement and how to match this speaker system with an amplifier. How to deal with its shortcomings and how to enjoy its outstanding performance. The fist adventure with the original Quads is, to get a fully functional pair. If you are not willing to deal with restoring their panels and working with lethal high voltages inside its electronics, it is a good idea to skip the typical ebay auctions or cheap offerings of old used ones and contact one of the professional suppliers. In my case it was Manfred Stein from Quad Deutschland who got my attention, because the small German company bought all the original tooling from Quad UK as they were sold to Shenzhen China. Manfred Stein was a Quad Distributor during the heydays of the British company and shared a close relationship with Peter Walker, founder of Quad Electroacoutics Ltd, and father of the ESL 57 speakers. As Quad UK had to close their doors, Peter decided to sell Manfred Stein the whole machinery park, so that he is able today to restore the original Quad ESL 57 and its more modern brother the ESL 63 to its original specifications. So I voted for an old classic 57 with its typical bronze coloured front grilles, which was completely refurbished and brought to the original specs. Manfred Stein gave the speaker, manufactured at the end of the sixties last century, brand new panels and overhauled the complete electronics while letting the original transformers untouched. Most of what you can read on the internet about the efficiency of this old speaker design has to be seen in the context of its state at the moment of listening. 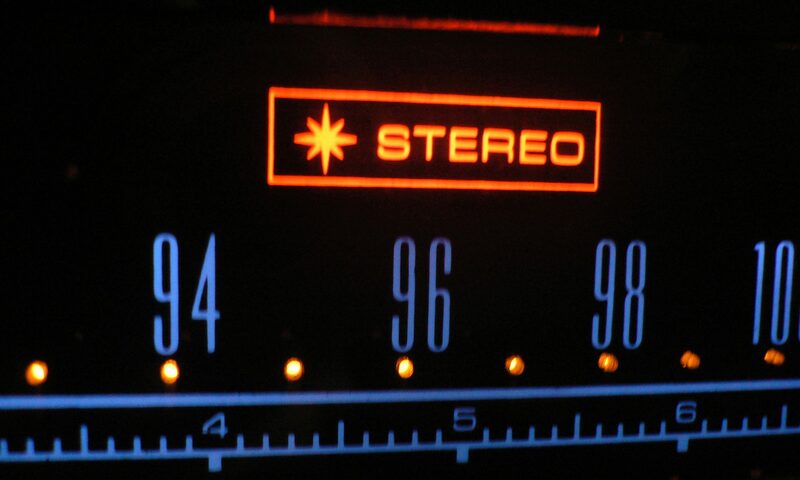 Old, sometimes defective panels will not have the performance they once had, which causes the listener to pump up the volume on his amplifier, to compensate for the compromised efficiency. Such action will ruin the speakers even more, because the danger of overloading them with your amplifier rises, which will cause the well known arcing of the treble panels. A historically correct refurbished ESL 57 will have an efficiency around 84db/1w/1m, which is in the same league as the famous BBC LS3/5a speaker system. That is everything but especially efficient if we look at horn loaded speaker designs or actual modern constructions, so the typical way to go is using a very, very strong amplifier – but it is not! The ESL 57 accept 33V at maximum on its terminals bevor arcing occurs on their treble panels. The amplifier designed for the ESL 57, the Quad II monoblocks, delivered 15 watt to drive the speakers in a safe way. So the ESL 57 will not accept a super strong amplifier which will limit the maximum SPL we could reach with this speakers to around 100db in 1m. 100db in 1meter is not too bad, we could easily listen to nearly every piece of classical music with a realistic dynamic swing, as we can do with Jazz, Singer Songwriter and also modern Pop music – the limit will be Heavy Metal or modern electronic music and also very large orchestral pieces like Mahlers second symphony. But I wrote 1 meter – 1 meter will be extreme close up listening – or better nearfield listening, which is not possible with the ESL 57, because of its poor sound radiation in any given room at this distance. The minimal distance we can achieve is around 2m measured from the treble panel to our ears. Every doubling of the distance, results in a 6db drop of sound pressure level – which means that nearfield/midfield listening with the Quad ESL 57 is a good idea to get enough realistic and dynamic expression in a not too large room. If we look at the 33v maximum Volts the ESL 57 will accept without being destroyed, we haven´t yet discussed the impedance curve this speaker produces on different frequencies. To make things much more complicated, the Quad ESL 57 is a very reactive load for our amplifier, the panels will produce an impedance peak around 100hz – of nearly 40 Ohms – and in the treble around 17Khz we see a serious drop in the impedance curve of under 2 Ohms. That is not an easy load for our amplifiers. To match the original ESL to an amplifier is a task which books were written about. To shorten the story at this point (later on we will discuss this more in depth) – my advice is to use a very good push pull tube amplifier with high class output transformers or an OTL (Output Transformer Less) amplifier – both will work in a fantastic way with this little diva! Coming back to our nearfield listening approach we have to think about some more surprises the original ESL has in store for us. The 57 is a dipole speaker – this means it will radiate the sound pressure not only in front of its panels, we also have to face a distinctive radiation behind the panels. The radiation of the sound pressure has the characteristic of a figure of 8, which means there is total cancelation 90degree of the panels. The sound wave radiation at the rear side of the panels is damped with some felt and jute pieces – so we do not have a mirrored radiation in the front and at the back of the speaker. The truth is, that at the rear side we have a lot of damping at the higher frequencies, but nearly no damping in the bass region of the frequency spectrum. If we place the ESL close to a wall, the rear radiation of the speaker will be heavily compromised. With the construction of the ESL 57 we have exactly the opposite behaviour of an enclosed speaker system, which raises the bass frequencies by placement close to the rear wall or even worse by corner placement. With the dipole characteristic of the 57 we have a proper tool to adjust bass performance in any given room to get a linear response. That means as far as we could get the Quads from the rear wall, the more sound pressure level we will get at the low end of the spectrum. Everything depends on the room in which the speaker is installed – a good starting point is to place the panels at 1/3 of the rooms length. This position is nearly unachievable in a living room, if you still want to be with your girlfriend or wife. ;-)) A dedicated room is the best way to get rid of all limiting circumstances, wether it be furniture or just the pure design of the room. The big question is now – shall I put the panels on the long or the short side of a dedicated listening room??? In the case of a pair of BBC LS3/5a I would strongly suggest to choose the long wall of the dedicated listening room (a topic I will write about in another article) – with the Quad it is just the opposite – if the short wall is not too short, which will harm the amazing ability of the Quads to show recorded space, we will gain sound pressure level and bass performance with this kind of placement. Remember, we will listen to the stats in a nearfield placement – so you will need at least a minimum of 4m width of the short wall in your listening room – if that can be achieved, you have finished choosing the wall at which the ESL 57 will be placed. The distance from the rear wall starts with a minimum of 1m – under this distance you will compromise the sound radiation in such a way, that all the moaning about bass performance in most of what is written on the internet will be justified. My room is 4.5m long – so if we use the “one third” rule, the speakers should be placed around 1,5m away from the rear wall, which is a good starting point. Quad experts will now shoot at me – because that is not enough – but wait – we are talking about a nearfield listening situation – and we are not finished with the placement. The next step is to adjust the distance to the side walls – as we chose the small wall of the room, we will not have too many possibilities – because the room is not wide enough to get the panels far from the side walls AND achieve a proper stereo base for them. But there is a reason why we chose the smaller wall in our room – and the reason is again the bass performance and the efficiency. If we place the Quad ESL 57 near to the side walls, we will get more bass level from them and more sound pressure level – so we have two screws to adjust bass with the placement of the speakers, distance to the rear wall, and distance to the side walls. But there is no profit without loss – if we would place the ESL 57 nearly in free space – far away from any wall at the sides and behind them, we will have an amazing spacious sound but serious restrictions in bass and sound pressure performance. On the short wall of our room, with around 30 – 40cm distance to the side walls, and 1,5 – 1,8m distance to the rear wall, we can measure a maximum sound pressure level at our sweet spot nearly 2m in front of the ESL 57 at the maximum 33V coming from our amplifier of nearly 100db spl, and no drop in the bass frequencies up to 42hz. The side walls of our room act like an acoustic amplification system! As we discussed earlier the panels have no sound radiation 90° of the axis – so at this stage there will be no reflection from the side walls of our room – but the speaker will get an angle in which it will be placed towards us, which changes this situation. This means there must be a certain distance from the side walls if we want to have a breathing speaker and no boomy bass response! It is also a good idea to give the space behind the speakers and the side walls near the panels some acoustic treatment, to avoid too much early reflections. If we put on some music without any toeing in, we will recognize that there will be very poor imaging and a serious drop in the treble performance – the sound will be really bad!!! To cure all these aspects, we have to give the panels a certain angle in which they radiate towards us. To get the perfect stereo triangle placement, we will place our chair at a point were our ears equal the distance between the center of the two treble panels – in my example it will be 190cm. The treble radiation of the ESLs is limited in the horizontal plane to about 30° measured symmetrically from the center of the treble panel axis – and even worse – 15° in the vertical plane. And there is another detail in the construction, which we have to know – the treble panel is not mounted at the same plane as the bass panels are – it sits behind the plane of the bass panels – which is a good thing regarding the time alignment of the whole construction, but you should keep this detail in mind, because at large angles this construction detail causes diffraction at frequencies above 3Khz! We have to toe in the speakers in such a way, that the very directed high frequency sound pressure level has direct access to our ears – too much toe in, and the sound will become too unbalanced in the high midband and lower presence – the Quad ESL 57 will shout at us. Too little of an angle, and we will miss the highest treble and air. This adjustment will take a lot of time – a good help is to use a noise generator available on the internet, and listen to some white noise trough our speakers. Some of the white noise generators available have the possibility to shape the noise, so that we can drop lower frequencies and listen only to the highest frequency band – you will be amazed how directional the Quad will be in the highest treble range! Our aim is to get a perfect stereo triangle – so if we realise that we will get more treble energy by varying the distance towards the speakers, we have to work on the angle again. We are finished when we get the most treble energy at our listening point in the stereo triangle – it will be achieved at around 15° toeing in of the panels. And do not give up!!!! At the end of these adjustments, you will crawl on the floor with a ruler in your hand and your ears will distinguish every single degree of angle variation. You´ve succeeded if you listen to a vocal with some natural reverb captured in the recording and the singer is right in front of you, perfectly placed in the center of the stereo image and the reverb vanishes smoothly and absolute symmetrically between the two speakers. Next listening test is a walking base figure played in Jazz music – get different tunes written in different keys and listen carefully to the bass – there should be no bass bump or drop at any tone the bass player performs. If that might be too difficult – get a sinus tone generator from the internet and put some frequency sweeps on the Quads – if there are bass bumps or cuts, you have to vary the distance to the rear wall and maybe also to the side walls. In the end we should achieve an even bass performance, while getting the most treble and spacious sound with pin point imaging from the Quads. If you take great care placing the stats in the room, these speakers are able to vanish completely as a sound source, while throwing a three dimensional sound at you with an amazing pin point accuracy. Do not give up, till you have reached the maximum – every little change has a great effect – it is not plug an play!!! A lot has been written about the original three feet floor placement of the ESL57 and about upgrading this with some higher stands, to bring the panels up to ear level. The same people will tell you, that you need stacked Quads to gain sound pressure level and bass performance. Peter Walker had a reason to place the ESL 57 as he designed it – and one of his strongest arguments was the coupling of the bass panels to the floor. If we raise the panels we will get around 4db – 6db drop in the deep frequency spectrum. But raising the speakers from the floor also has a strong advantage – you get a very, very good stage and pinpoint performance and the soundstage will be much better, than sitting in a normal chair and listening to the panels on their standard feet. So how can we bring all these things together….??? The solution is adjusting OUR height instead of the height of the speakers. A normal chair is much too high – we must choose a chair or armchair, which brings us to the level of the ESL speakers. A narrow armchair or a chair like the Vitra LCW is as if it’s made for listening to our beloved Quads. Our goal is, to bring the ears below the top plane of the speakers – a sitting height of around 30cm will achieve that, without loosing the bass coupling Peter Walker once designed with his short legs under the panels. To gain a realistic stage, the panels have a slight angle backwards – if you listen to a singer, placed exactly in the center of the stage, you should “see” the voice straight in front of you without having the feeling of looking down to the stage. Now we´ve gained a realistic perspective to the virtual stage captured in our recordings….. and yes, a Magnepan is able to show us that stage in a way, that we have to raise our head – we look up to the stage. With the ESL 57 we look straight, sometimes a little bit down to the music. The difference could be described like this: with the Magnepans we are standing in the first row of a live concert and looking up to the singer on the stage, while with the Quad ESL we are sitting in the third row of an orchestra hall looking slightly down to the performance on the stage. Why do we listen to the ESL, a design from 1957? As we can see, there are seemingly a lot of disadvantages in using an ESL 57 speaker to enjoy our favourite music…..so why do we choose such an old construction?? Why were they used as a control monitor for (classical music) recording and mixing in a lot of studios around the world and broadcast environments, and why are they still used today by engineers like for example David Chesky of Chesky Records? If we read the headline of this article, Quad claimed, that the ESL would be the closest approach to the original sound – and this is from my point of view not only some advertisement. Until today the Quad ESL 57 show 95 of 100 modern speakers what a realistic reproduction of the whole midband in the sound spectrum is. The stats are able to produce the human voice in a manner, that we can believe a human being stands in front of us and sings. The string tone of these speakers is so realistic and pure, without any coloration, that we learn a lot of new things about our records and recordings. Even the slightest “mistake” in a given recording or within our audio system is clearly detectable. The Quads act like an audio microscope without being analytical or dissecting. We can enjoy music as a whole experience and we can also zoom into the finest details, and this zooming can be done without the slightest feeling of getting tired or stressed while we are listening. If we place them as monitors in the nearfield and let them sit on their original feet, we get enough sound pressure level and also a bass performance that is more than enough. If we think like a mixing engineer, we must accept that the human ear reaches its maximum linearity around 86db in the sweet spot. If we sit 2 meters in front of the ESL 57, we gain a maximum sound pressure level with my special “nearfield” placement of around 100db at the maximum rate of 33V driving the panels – that is 14db above the average level in which our ear shows the highest degree of linearity. 6db means doubling the volume, so for the highest dynamic swings in our music we have around 14db left to describe the given dynamic. That works perfectly if the room is not too big – and if we are not fans of Metallica live on stage. The bass response reaches down to 40 – 45 hz if we have placed the stats with great care, which means that we can hear the deepest tone played by a traditional 4 string bass guitar or an upright bass. The quality of the bass is phenomenal – no coloration of any enclosure, no boominess, therefore we get a speed and articulation, a toanlity in the deepest octaves, which is so realistic, that it is a great pleasure to listen to music which is produced with good bass performance. The soundstage which these little wonders are able to throw into our listening room is astonishing. The midband is as natural as breathing and the immediacy and clean attack of percussive elements in our music is sometimes frightening. The feather light foil used inside our stats has such a low mass, that we have nearly no compression at the leading edge of a tone or percussive event. These speakers are amazingly fast – the reaction they will show with a finger snap, piano attack or a side stick hit of a snare drum is incredible. Listening to a pair of Quad ESL 57 with a monitor style placement at nearfield distances is like using a gigantic Stax headphone system without the disadvantage of sound localisation taking place in your head, a typical problem of most headphones.The cleanness and cohenerence of the music makes us listen for hours. A Quad ESL 57 can be your last loudspeaker. So, a lot of space on this blog will be dedicated to the Quad ESL 57 and also the LS3/5a, the amplifiers to drive them, the analog frontend to feed them, the tubes, all of which gives you the feeling of being there and much more other fun stuff.